Is there a method or S/W available to stitch together a DLP projector's output into a “moving picture” to SLA print in a larger area than its output? I have an opportunity to repurpose a high-dollar lab machine into a 3D printer with very high performance capabilities and 14 cubic feet of production volume. Although FDM is certainly a realistic "no-brainer" capability for this setup, I believe this level of accuracy, speed and volume - not to mention the original cost being well over $100K - justifies a finer level of output and I believe Stereolithography (SLA) is what I'd like to concentrate on. With such a large printing surface/volume (37"X x 24"Y x 28"Z), I don't know how I would implement a DLP projector to cover such a large surface and still maintain the level of accuracy and resolution. 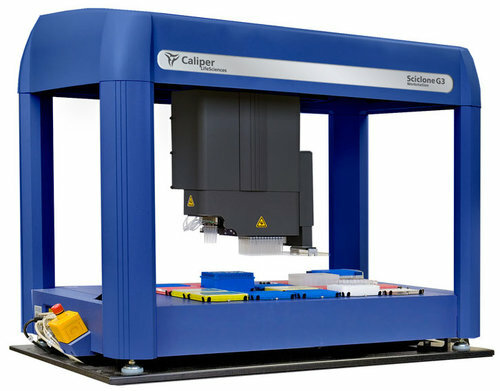 This system is already equipped with the highest quality stepper motors and a "staccato" high-speed driver-controller, an on-board pneumatic & electrical 6-channel controller that could be used for selecting colors, resin injection/flow, resin tank elevation, curing LEDs, temperature/ventilation fans, laser scanning, router speed, etc. The X & Y movement guide bars are located in the upper deck, moving the Z axis component assembly. That assembly requires simplification to enable it to be downsized to allow for the printer output to reach closer to the perimeter of the output area, but the weight & bulk of the assembly is greater than any DLP projector that would take its place so this system can reliably perform with a heavier projector if necessary. Basically, I think I'm looking for a software-defined method of coordinating the X & Y movement of the projector's output to the printing surface (presumable a tray of photo-sensitive SLA resin). Since the projector's proximity to the printing surface must remain relatively close, the output will be constrained to an area significantly smaller than this platform's entire printable surface, the projector's output will have to "play a movie" of the model and instead of projecting still images, I believe it would require an animated output that exposes the resin to build models. Sort of like a silk screen process but with UV light. I'm slightly familiar with the concept of manipulating laser beams using micro mirror aiming devices to draw on SLA resin beds - and this is a possible solution if I knew where to find such a component and how to control it, but that kind of printing would be far too slow for making large-scale models because it would essentially almost as slow as a pen plotter. Is anyone aware of an existing method of integrating the "moving picture" method I'm thinking of, or have I envisioned something that hasn't been invented yet? I know using a projector sounds like solution; but, I in practice, think it is going to be difficult. My concern with trying to use a projector would be two-fold. It would have to project on a large flat surface. Since basic optics wants to focus on a sphere, when projecting on a flat surface you have to adjust for a focus distance that varies with angle and also deal with keysoning. I know this is a common problem fro projectors; but, there is no perfect solution so either. The focus issue may be solvable with custom optics; but, that is not something that is easy to DIY. The keystoning could be corrected for with optics and/or in software; but even then you are going to have inconsistent resolution. Not only that; but, the problem gets worse the wider and closer you are, which is EXACLY what you want to do. I would be concerned that the frequency range that the SLA resin cures at will be outside the normal range of projector so you would require A LOT more power/time to get it to cure. On the other hand, lasers light projectors are a well established technology. They moved into the entertainment space quite a few years ago; so, I suspect you could get one that covers the space you are interested in for a reasonable price. Since laser beams are very narrow, focus should not be an issue. Keysoning can be easily accounted for in the sweep algorithm. You could choose the frequency of the laser to that it in the most efficient curing frequency for the resin you want to use. Not the answer you're looking for? Browse other questions tagged software applications sla or ask your own question. How do I compute the surface & volume of a large amount of STL files?